Pregnancy can be a very exciting time for expectant mothers, but some time must be devoted to reducing stress levels, easing strain, and to the act of relaxation. The beneﬁts of a gentle yoga practice will help you take proper care of the emotional, physical and spiritual health for the 9 months of pregnancy and beyond — for both you and your baby. Practicing yoga postures during pregnancy enhances a feeling of well being through gentle and progressive stretching and breathing exercises; standing asanas give a firm foundation for the baby’s growth while strengthening legs and ankles, bringing mobility to hips and spine. 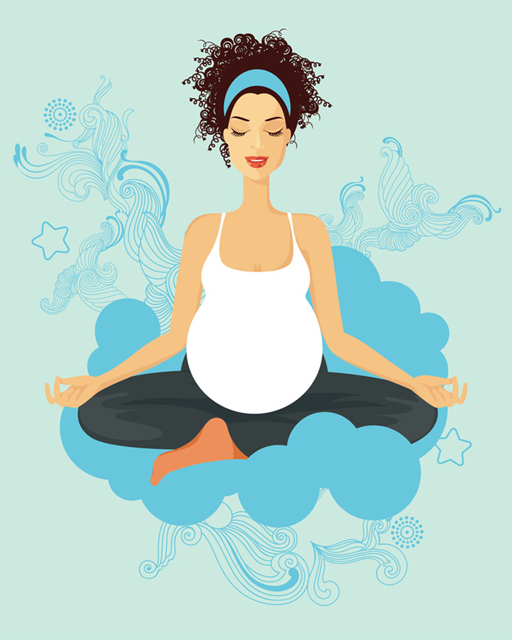 Taking a Prenatal Yoga class is a great way to meet other mothers. Being in a pregnant positive, supportive environment with others like you can give you a regular emotional boost and keep you motivated to continue exercising. At the end of each prenatal yoga class, you’ll relax your muscles and restore your heart rate and breathing rhythm. At Sharmila’s Yoga Studio, you can expect the very best. All classes will be gentle, and will offer modiﬁed standing and seated poses, breathing exercises and relaxation techniques. Walk into our Banjara Hills studio for further enquiries.